This is one of my favorite parts of our coaching program, core values! When we start our business it is easy to get caught up in the day-to-day, making money, setting up a website, finding new clients. All of those ‘business’ things. We forget about our core values. What if we reversed the order of how we start a business, if we started at square one, what do you believe in? If you think about it your core values are what has shaped you as a person. Phrases or words that your parents or family has been telling you for years, it’s the foundation of who you are and your belief system. We need to do the same thing with our businesses. Set that foundation, what will our business look like, feel like and stand for? Your core values start with your WHY. Why did you want to start this business? Who are you wanting to serve? 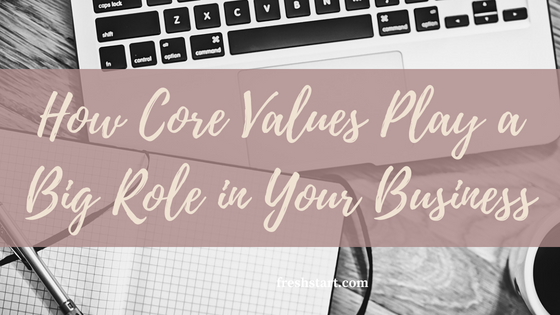 There are a lot of successful business owners that would say they wish they would have started with their core values from the beginning, a lot of them didn’t develop or even think of their company’s core values until later on in business, like years later! We are wanting to save you some time down the road by talking about your businesses core values now! Setting the foundation and creating the content. By having these core values in place it helps you and your company make decisions based on shared values. Everything from hiring the right help, to bringing on new clients, creating a successful partnership, etc. Core Values are the base of your belief system. They are your morals, what is important to you each and every day. The reason behind what you do. These core values create your vision and mission for your business and shape its future. In a sense, your core values create your businesses identity. It is important to establish strong core values from the beginning. Your core values help with the decision-making process like I mentioned above this can be from hiring the right help, onboarding the right clients, quality of your products or services. These core values educate your employees and clients on what your business is all about. What’s important to you and how you are different. It goes back to that golden rule “People do business with people they know, like, and trust.” That’s why core values are important. Creating your core values can be a little more challenging than you think. Especially if it is more than yourself. If you have a business partner or team then we recommend having a conversation about what is important to each of you and how you can bring your individual core values into the business. We talk a lot about creating your lifestyle, What does that look like? What defines success for you? What is important to you? When you are using your core values in decision making you want to maintain that sense of integrity, clarity, and confidence. You want to stand behind your business core values and know what’s right. Here are a few examples of different words that can be turned into core values. Determining your core values takes some time and thought. Remember you are setting the foundation for your business success. You want to create your own values for your business. I think it is important to check out other businesses values and see how they word them, but you are not just copying and pasting them for yourself. What makes you feel good about your business? What is important to you on a daily basis? What values make you feel proud of yourself and your business? What sets you aside from other businesses? 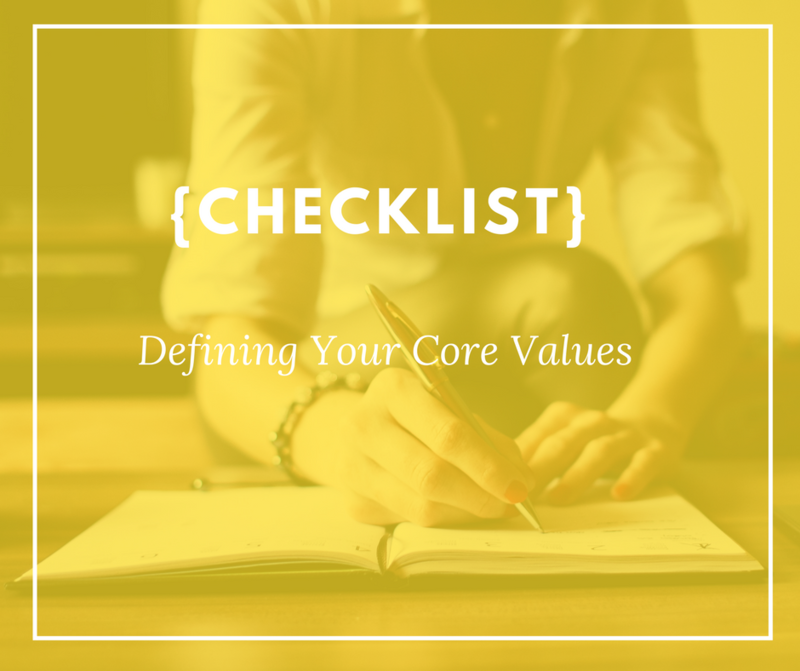 Once you have your core values defines it is crucial you have them listed on your website within the About page, on your marketing materials, your story, your social media, on your wall. These are great daily reminders for WHY you do what you do. Why are Core Values Important to Your Business? There are many reasons why it is important to have core values in your business. As a business owner or freelancer, we are our business. It shows our authenticity of who we are as a person. Core values provide us the framework of how we see our business and how we want it to grow. It also helps with behavior for your employees and clients, setting those standards from the beginning. This shows your business, clients, and potential clients why you are different, what you believe in and how those values play a role in your everyday decision making. People that have similar values will more likely want to work for you or do business with you. It gives them a sense of trust to help them understand your business on a deeper level. Remember in the beginning I asked you what success looked like for you? These core values can help define that success for your business. Set standards and thrive! 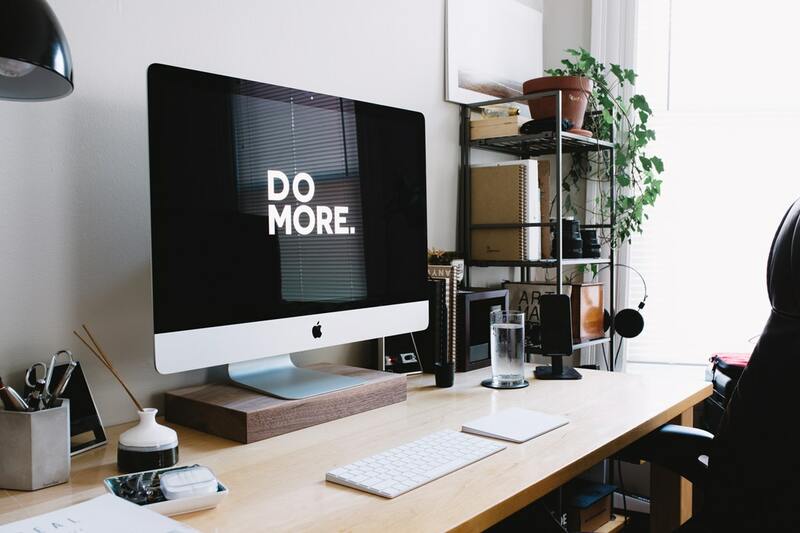 Now that you have created your core values for your business and you now understand why they are so important to your business, it’s time to put them to work. Think of your core values almost as a vision board for your business. It helps you find the direction in which you are wanting to continue to grow in. Top of mind! Write them down. Put them where you can see them every day. Like a daily affirmation. 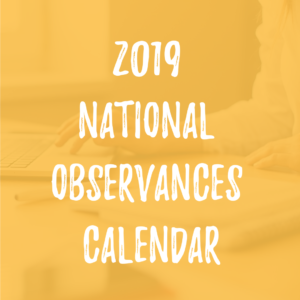 You can create a sticky note that you have on your computer, screen saver, go to the about page of your site every day, somewhere you look at on a daily basis. Share them. You will have them on your website, social media profiles, maybe even your marketing materials, but more importantly, talk about them. Use them in your networking commercials, tell friends, turn them into social media posts. People do business with people they know, like, and trust, these core values will build that trust. So, get sharing! Let them be your foundation. These core values are what drives us and motivate us. They remind us of WHY we started our business and where we want to go. They will help us with the decision making within the business. They also keep us consistent. What feels right? They keep us on track! Lifestyle. This is probably the most important to me, our core values are what allow me to live the life I want. To create the lifestyle that has freedom and flexibility. How do you want to create your life? What is important to you. The core values of your business will allow you to create your the opportunity to express yourself and create your lifestyle. Apply them. Use these core values as ways to connect with different clients or potential clients. Make sure each decision is based on these core values. When onboarding a new client, does it feel right, do their values align with yours? Use them when you are hiring on new help or even outsourcing, as long as your core values are aligned with your tribe, the people you surround yourself with and work with you can accomplish anything! Each business should have a list of core values, your core values are what makes your business run. What type of people you want to hire, or work with. This is the foundation of your business. Are you ready to create your today? How did you get to the place you are at now? Tell us about your journey. How did you know that you wanted to do “this” for a living? What makes you different? How do your products or services stand out from the others? Who is your target market? What problem are you solving for them or what pain point are you addressing? This will tie into your WHY! 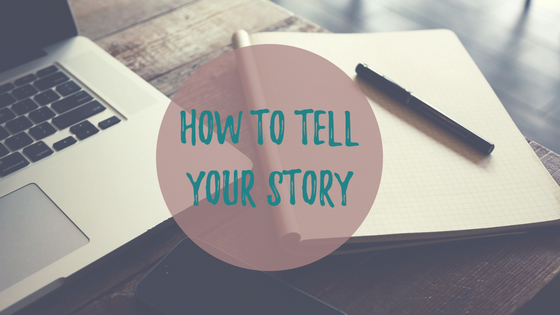 Once you have your story written down, make that your “About Me” page or create a blog post out of it. Also, create a video that shares your story, Add it to Facebook, Pinterest, make a short one for Instagram. Make sure you are fulfilling your target markets needs, are you solving a problem or fixing a need? By writing your story it will help you fill in the gaps you may be experiencing. Check out your competition. Both locally and nationwide, look at what they are doing well and look at what they could be improving on and take notes! Once you have your story complete and you are ready to move into the marketing piece and really being able to speak to your target market, you need to know first what are they searching for? What keywords are best for your business to be blogging about that will reach your target market and attract those perfect customers or clients. You are on your way to creating SEO-Friendly content for your website and blog! Please sign-up for our FREE training video on performing keyword research to improve the SEO on your website and blog posts. Each business should have a list of core values, your core values are what makes your business run. What type of people you want to hire, or work with. This is the foundation of your business. We will learn in 5 simples steps how to figure out what your core values are. You’ve heard you need to have identified core values for your brand and business, but what does this actually need? How to use your values to understand ways you can react to both positive and negative reviews online. Your brand and your mission need to flow through every aspect of your business and online, content is one of the main ways prospects can get a sense of who you are and what it would be like to work with you (or purchase your products). Do your personalities align or do they clash? Do you focus your attention on the same details your clients care about? How can you put your best foot forward online? Let’s start with utilizing your values to identify your target market. I’m sure you’ve been told that we work with people that we know, like, and trust. I must tell people this every single day. When your core values flow through your business, people with those same values will tend to be more attracted to working with you. They can help you really connect with those individuals who can then turn into raving fans. A process to identify your target market that starts with your values. Think about how your product or service actually fits into your target consumer’s lifestyle, how will the product be used? By going through this exercise, you open yourself up to thinking beyond just age, income, and location. You allow yourself to better understand what actually drives your consumers and what matters to them. Where do your business values come in? Well, ideally, your consumer’s values align with those of your business. The next piece of your brand values is to use them to create content that moves your brand forward. Here we will discuss possible topics that your business can write about that will better position your brand. There are many different ways to come up with topics to discuss in your blog, so, just as a disclaimer, here I’m really only discussing one element of creating your content strategy. Your content strategy should be diverse, but there are ways to make sure within your strategy, your brand messaging and values come across loud and clear. We recommend sitting down once a quarter, or at least once per year, and actually write a blog about your values. This may seem strange the first few times, but provide examples about how your values have dictated what products and services you offer. Or create a blog emphasizing your attention to detail and customer relationships that also highlights testimonials from your clients. There are a lot of different ways to highlight your values in a blog post, but one thing I do want to emphasize is how important it is to try and relate these articles back to the benefit for your clients. Nobody wants to read something only about you, but how interesting would a story be of how you found your supplier because of their fair trade employee salaries or how you came to be a life coach because of the struggles you had before you started living aligned with your values. These are things people can relate to, and topics that can help you form a real connection with your market. Okay, so this really ties into the first part of the blog where we look at psychographics to identify your target market. By understanding the values of your market, you can use language that they will relate to more clearly. Let’s say you are a winter sports company who is marketing ski helmets to parents. The language you should use should highlight the safety and comfort of their children. However, let’s say the company is edgy and markets to the park-rat. Do you think they should focus on comfort and safety? No! Their target market wants to look cool and may care about being connected to their devices. They want a way to easily show off the sick tricks they are throwing in the half pipe while jamming out. Everything from the imagery the company would use to the verbiage would have to shift. The same is true for your business. Who are those different consumers you are trying to work with? Do you find that you are intuitive when you work with clients or are you very process driven? Work to find what words you can use in your marketing that conveys your brand values. Lastly, we are going to take a look at how to use your values to understand ways you can react to both positive and negative reviews online. Far too frequently, businesses with high integrity receive negative reviews online. 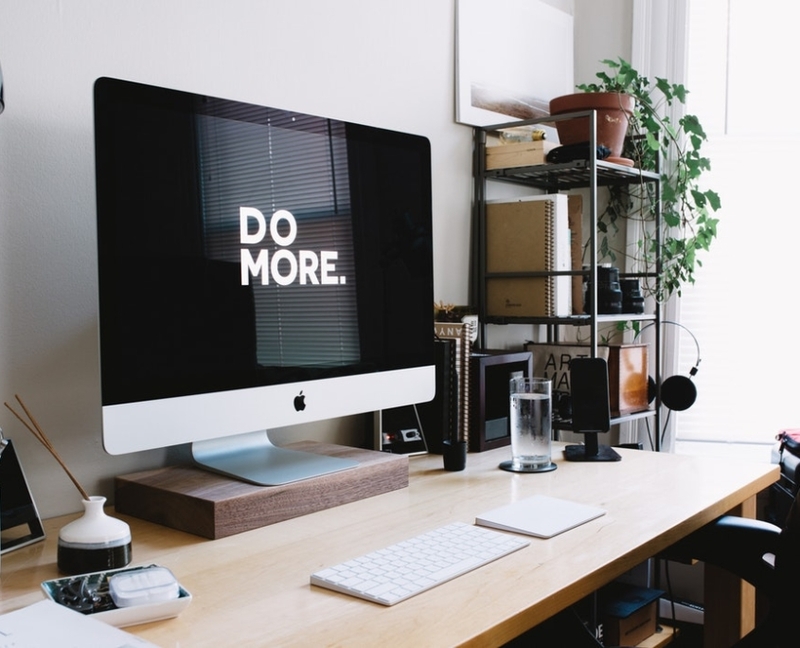 Often times we actually see this for our clients’ when they work with individuals with conflicting values to the business, but here we really should focus on what you do after you receive a review. First, visualize that you have just received a notification of a 1 star review. What is your gut reaction? You’ve worked years to build a reputable business and now everyone will see this negative review, who wouldn’t be upset?! Before you do anything, STOP. Think about your values – how do you want to be perceived? How would you respond if the reviewer was speaking to you directly? Was this an issue that you had tried to resolve and were aware of? Is the customer actually right? Often times with negative reviews, the customer just can’t get over something (or maybe even be a competitor posting as an irate customer), but other times we can actually learn from legitimate negative reviews. Think about what else could be going on in the individual’s life. If you truly think you did everything you could and that you bent over backwards, perhaps this individual is having the worst week of their life. Changing perspective can help you to calm your nerves and think more clearly about a situation. Draft a reply comment in a word document that explains that you are sorry they are disappointed with your service, that you take pride in X,Y,Z, and that you are available to speak offline via phone or email. Sit back an hour and reread your draft response. Check it for any spelling or grammatical errors, then copy and paste it as a reply to the review. Following these steps will make sure you aren’t jumping in with your gut reaction, but rather that you are allowing your values to dictate how you will treat others online. Positive reviews are easier to respond to, but many businesses fail to actually write back each and every time they receive a review. Again, think about your values. Let’s say Community is a brand value, what better way to showcase this by taking the time to thank each reviewer and reestablish your invitation to them into the community that you are building. In this post we’ve taken a look at how to use your values to find your target market, how to write content that exemplifies your brand values, and how to respond to reviews in a value-driven way. Just remember in every aspect of your marketing and service to clients, your values can and should act as your compass. 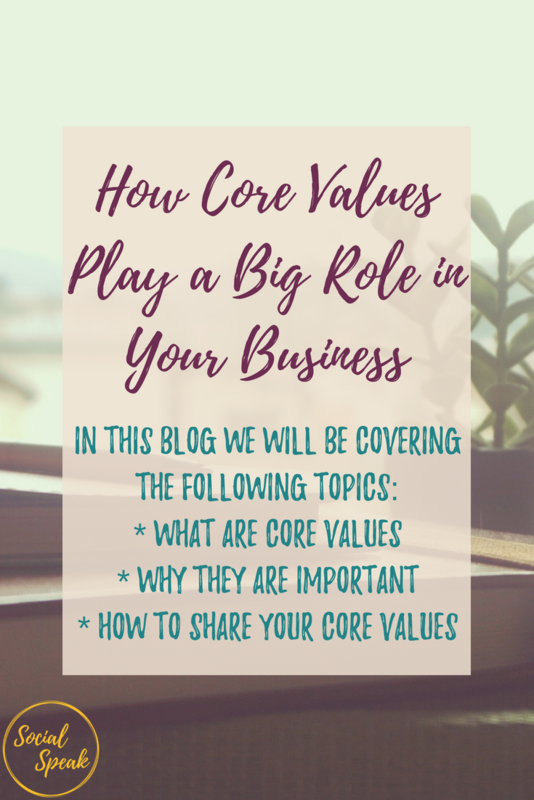 Core values are a set of standards for your business that everyone involved in your business must use in order to deliver the best possible product or service. Core values force you to raise the bar and set the standard, the tone, and the cadence of your business. Make sure you are doing what you can to set the right standards for your business to get the outcome you are looking for. This video will help you establish core values for your business. A personal brand is a feeling, an emotion and an expectation about who you are as a person and and a professional. Your personal brand tells people what your character is and what they can expect to experience when working with you. How Do You Build A Strong Personal Brand? 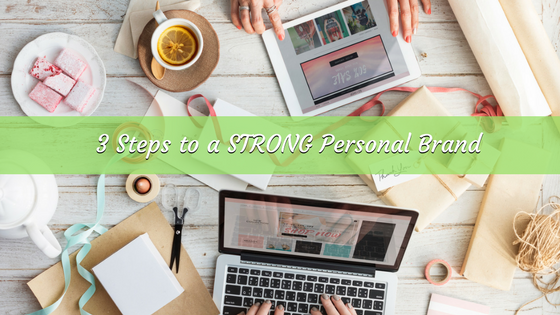 Our 3-Step process will help you identify what your personal brand looks like. Once you identify what your personal brand is, it will be your job to nurture, grow and tweak it along the way. Identify 3-6 core values that describe you. Core values are those things that drive you and make you who your are. They can be anything from trustworthy, respectful, innovative, leader, etc. Need help? Use Google to do some research! Type “List of core values” into the Google search engine and see what comes up. Select core values that really describe who you are and how you want people to perceive you. Write out a descriptive statement of what problem you are able to provide a solution to. The point of this descriptive is to illustrate how you think and want people to perceive you. Facebook: Provides people the opportunity to connect with friends, family, and businesses everyday! Google: Delivers information instantaneously! It costs you nothing to do research from the comfort of your own home! You begin to see what your brand looks like. From here, you can go anywhere! With every piece of marketing you do, the product you deliver or conversation you have, you can design it all to reflect how you want people to perceive you, your business, and the product or service you deliver. Put your brand to the test. Work with a trusted colleague, mentor, or friend, someone who will give feedback, and tell you what you NEED to hear, not what you WANT to hear. Ask them how they honestly see your brand and the product you deliver. If they are unable to identify the problem you solve, how valuable your product or service is or if they are unable to identify any of the 6 core values you listed above to describe you and your business, you have some work to do. You must either change one or all of the steps above or you must change yourself. Personal branding is a marathon, not a sprint, and, it is definitely a journey. You will need to constantly work at it and improve it each and every day. Personal Brand or Personal Image. What’s The Difference? 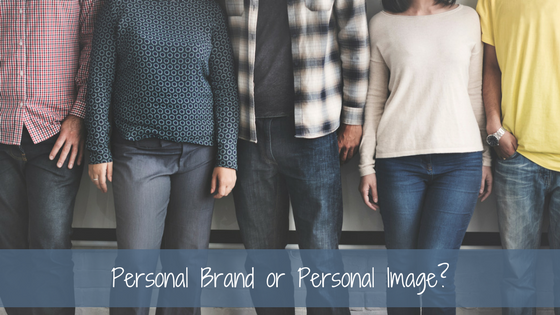 Many times people use the terms personal brand and personal image interchangeably but, they shouldn’t. There is a BIG difference between the two! Once you understand the difference between them, it will make a difference in your business. Think of your personal brand as your professional reputation on steroids. Your personal brand is the emotion, thought and an idea that is conjured up each and every time your name and business name are mentioned in your target market. What do you want that thought or idea to be for you and your business? Now that you know how important your personal brand is, you must protect it at all costs by delivering a consistent message each and every time you interact with your target market whether it be on social media, through a marketing program, during a meeting, consultation or a deliverable product. https://socialspeaknetwork.com/wp-content/uploads/2017/11/Social-Speak-Network-Personal-Brand-or-Personal-Image.png 315 560 admin https://socialspeaknetwork.com/wp-content/uploads/2018/04/SocialSpeak-Logo.png admin2017-11-09 13:21:442018-04-07 20:41:00Personal Brand or Personal Image. What's The Difference? 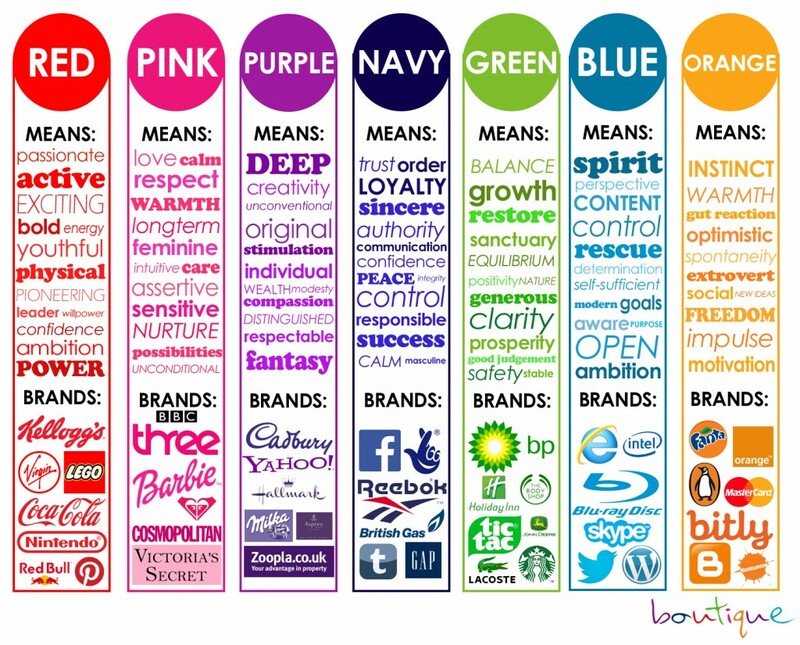 Do colors really mean anything for your brand? I mean it’s just colors, right? WRONG! There is a whole lot of research done behind the meaning of colors! When you think of your ‘Brand Identity’ what does that mean to you? Personality is the emotional, and human, association to a brand. Identity is the image created and used by a company to relate to consumers. An identity can include all forms of communication and visuals such as logos, colors or fonts. But the two are symbiotic. A brand’s identity should be part of its personality. When you talk about creating a brand it all starts with the colors, fonts, and styles. *Types of things that inspire you: Colors, Styles, Textures, Images, Fonts. Pinterest is a great free resource to look at types of brands you like. – What color makes you happy? What’s your favorite color? – Which colors and fonts are you naturally drawn towards? – Are there certain colors that can represent your design niche the best?– Which colors would you prefer to avoid? 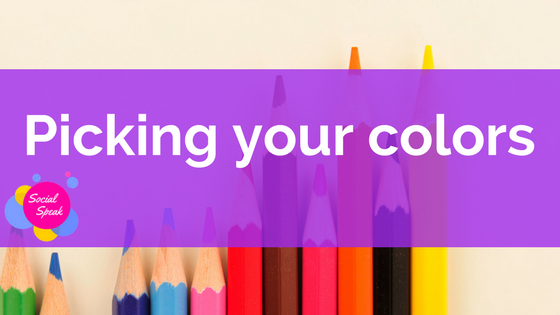 -Are there certain colors that can represent your design niche the best? -What do I want the identity of your business to say to my clients? Primary Logo is: Do you have one? Do you have a stacked logo for social media? What social media platforms do you have, that you need to make sure your graphics are correct? Is your brand identity unique? Does it have passion behind it?